Napa Contemporary home on a large lot, situated on a historic street lined with beautiful old-growth trees. Featuring timeless designer finishes and the highest level of craftsmanship, this sun-filled open floor plan with a grand entry foyer has abundant windows and glass doors which blend the indoor space with the lush outdoor landscape. Gourmet kitchen with Thermador six burner double-oven with griddle, Italian Carrera Marble countertops and elegant cabinetry with an eat-in bar. 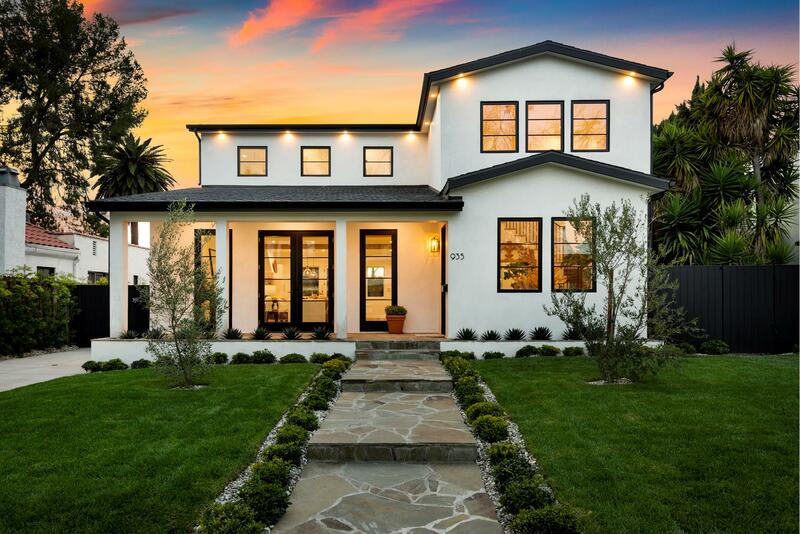 Four bedrooms including an expansive master suite with master bathroom clad in beautiful marble tile work, Victoria + Albert soaking tub, glass-enclosed shower and a dual vanity. Pool and hot tub with large deck for entertaining guests or dining al fresco. Minutes to Beverly Hills, West Hollywood, LACMA, world-class restaurants, entertainment and more! Based on information from CARETS as of 04/23/2019 2:26 am. The information being provided by CARETS is for the visitor's personal, noncommercial use and may not be used for any purpose other than to identify prospective properties visitor may be interested in purchasing. The data contained herein is copyrighted by CLAW, CRISNet MLS, i-Tech MLS, PSRMLS and/or VCRDS and is protected by all applicable copyright laws. Any dissemination of this information is in violation of copyright laws and is strictly prohibited.